We announced Jump in 2015 to simplify VR video production from capture to playback. High-quality VR cameras make capture easier, and Jump Assembler makes automated stitching quicker, more accessible and affordable for VR creators. Using sophisticated computer vision algorithms and the computing power of Google’s data centers, Jump Assembler creates clean, realistic image stitching resulting in immersive 3D 360 video. Today, we’re introducing an option in Jump Assembler to use a new, high-quality stitching algorithm based on multi-view stereo. This algorithm produces the same seamless 3D panoramas as our standard algorithm (which will continue to be available), but it leaves fewer artifacts in scenes with complex layers and repeated patterns. It also produces depth maps with much cleaner object boundaries which are useful for VFX. Optical-flow based view interpolation Left: Image from left camera. 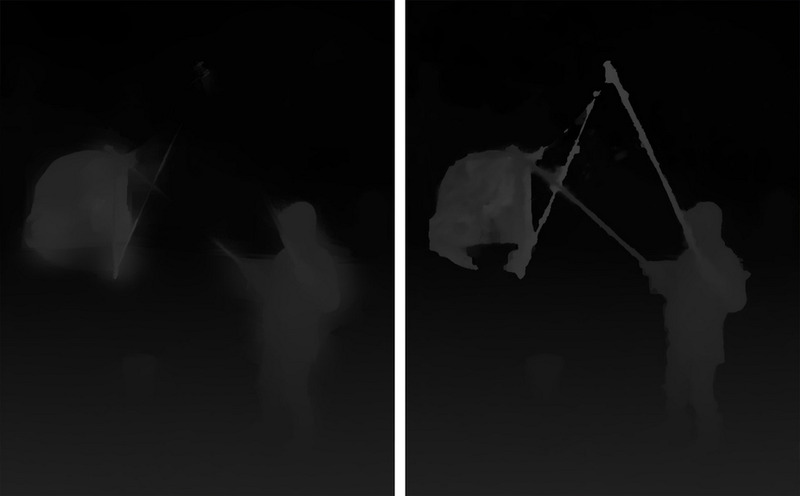 Center: Images interpolated between cameras. Right: Image from right camera. Our new, high-quality stitching algorithm uses a multi-view stereo to render the imagery. The big difference? This approach can find matches in several images at the same time. 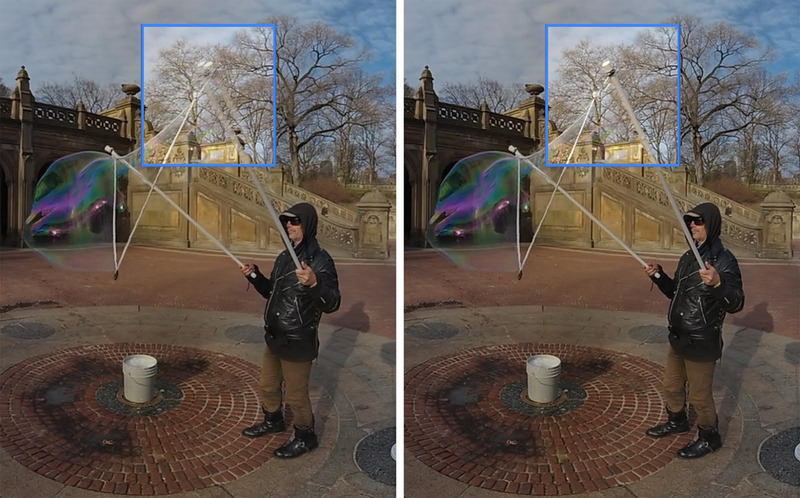 The standard optical flow algorithm only uses one pair of images at a time, even though other cameras on the rig may also see the same objects. Standard quality stitching on the left:Note the artifacts around the right pole. High quality stitching on the right: Artifacts removed by the high quality algorithm. If you’re a VR filmmaker and want to try this new algorithm for yourself, select “high quality” in the stitching quality drop-down in Jump Manager for your next stitch!